My father, the late Tarak Chandra Pandit was a very handsome and talented person. I saw much diversity in his personality. 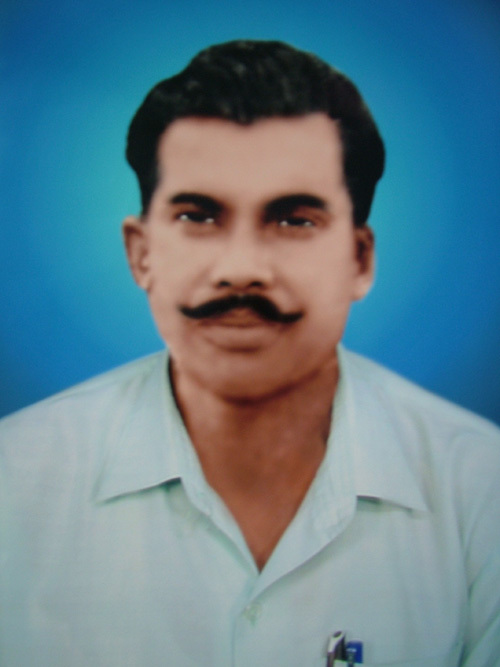 He was a freedom fighter during the British rule in India. He was then a senior officer in Bata Company. He was a good singer and actor. I was inspired by his achievements and awards. He had received many medals and trophies during his youth. He was a great philosopher. He always said to me and my siblings �Simple living and high thinking� and many more advices which I could not understand when I was young but now I understand all his advices given previously and his deep philosophy. He was a great spiritualist and enlightened person. He was a devotee of Sun God and Goddess Kali. Although my father has passed away since I was very young, I still miss him very much. My father loved to listen to devotional songs sung by me when I was young. His spiritual life was very secret � he never showed anyone his spiritual practice. When he passed away, many miracles happened in our home. We then understood what a great man he was. I feel proud to be his son. Who I am and what I am is all because of my father�s influence and blessings. In memory of my late father, I have established an institution named after him � Tarak Chandra Institute of Yogic Science.